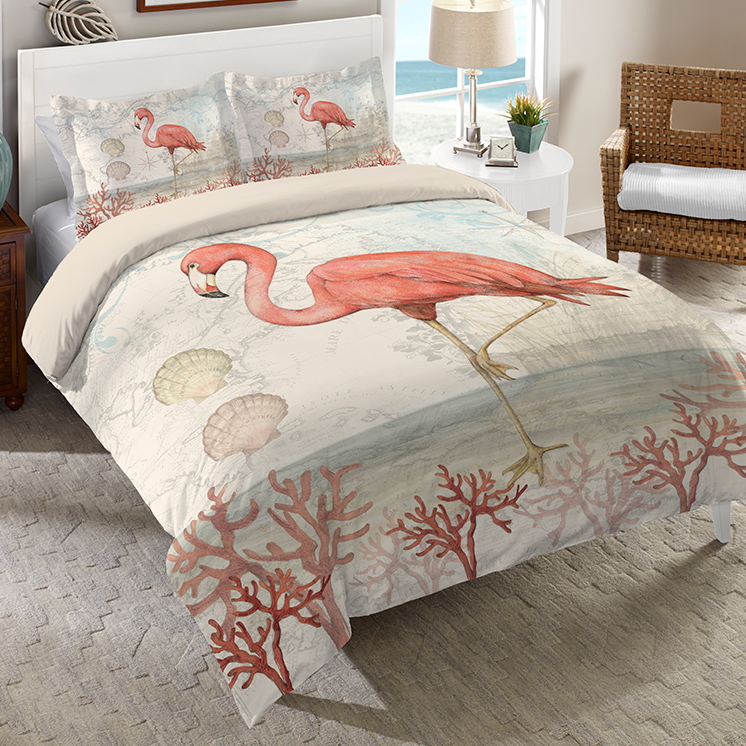 Accent your beach bedroom with the Floridian Flamingo Comforter - Queen. These beach comforters feature a flamingo with seashells, coral and faint navigational pattern for a beautiful addition to your home. Ships from the manufacturer. Allow 1 to 2 weeks. Cannot express ship. For further pieces, we ask you to take the occasion to explore our whole assortment of beach comforters at Bella Coastal Decor today.